What’s the Big Deal About Luxury Cruising? Cruising is the fastest growing segment within the leisure market with Australia being named the fastest growing passenger market in the world. Larger than life ships are being built every year and although many love the grandeur of holidaying on the largest cruise ships on earth, there is a lot to be said for intimate small ship luxury cruising. Although larger ships offer first-at-sea experiences such as the iFly skydiving simulator on the Royal Caribbean fleet, luxury cruising offers many amenities and services the larger ships cannot. Smaller ships such as the Seabourn Sojourn, Holland America ms Prinsendam and the Azamara Quest have passenger capacities of less than 835 allowing you to build relationships and with staff and other cruisers. Major positives of intimate cruising include no line at the buffets or onboard activities as well as always being able to find a deck chair by the pool. 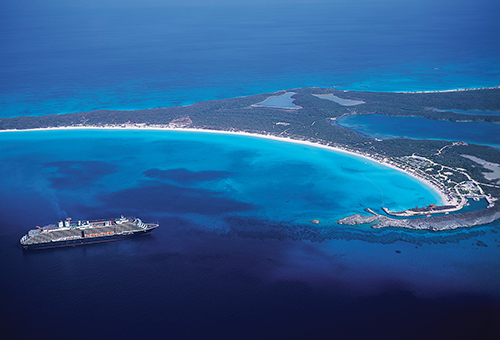 Smaller ships allow cruisers to experience destinations unreachable by larger cruise ships. 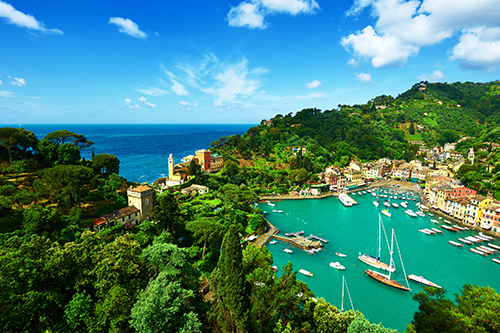 For example the Misty Fjords in Alaska, Portofino in the Mediterranean and Komodo Island in South East Asia. 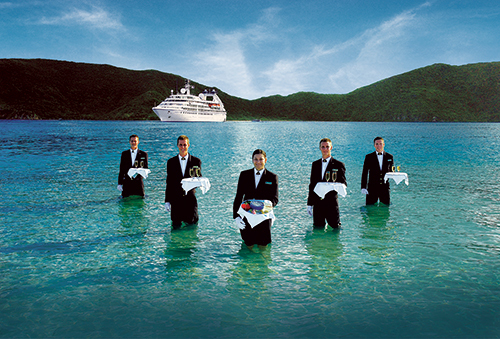 Luxury cruise lines also arrange their shore visits when large cruise ships are not scheduled to be in the area, giving passengers a more unique and intimate destination experience. Luxury cruise lines are also able to stay overnight in popular ports so passengers can soak up the nightlife and evening dining destinations have to offer. Holland America owns private islands only accessible to their customers as well as offering more than 25 unique shore excursions. Essentially if you can dream it, Holland America can arrange it. 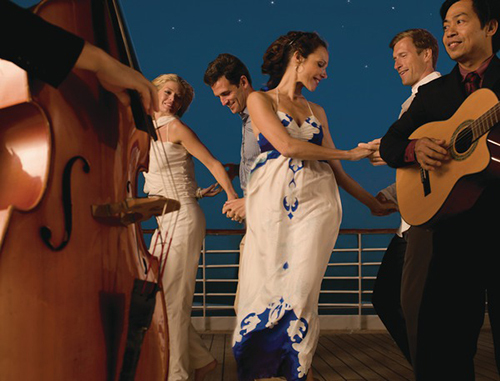 Azamara host Azamazing Evenings that include everything from classical concerts at Poland’s Baltic Philharmonic and Ancient Java Night Celebrations to An Evening at Crocosaurus Cove. 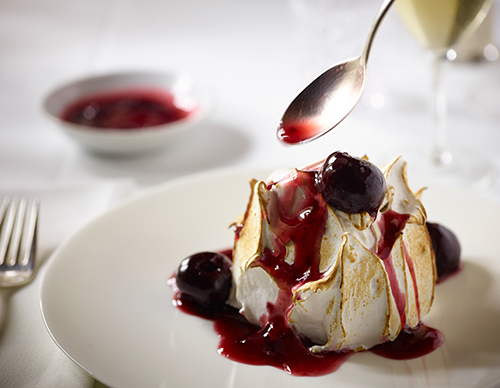 While Seabourn offers Caviar at Sea and Shopping with the Chef amongst a large variety of shore activities. Guest speakers such as Steve Wosniak from Apple Computers, enrichment programs featuring the likes of Julian Lloyd Webber, Culinary Arts Centre cooking classes with world renowned chefs and Marina days with complimentary water sports equipment hire are some of the onboard activates only available on luxury cruise ships. Cruise companies Seabourn, Holland America, Azamara, Cunard and Celebrity X allow customers to experience unparalleled first class service. With a high staff to customer ratio, be assured your every desire will be well catered for, down to baths drawn at your request. A very popular service on shore excursion days when guests want to come home to a nice hot bath and rest their feet before heading out for dinner. From welcome bottles of Champagne and canapés to in room binoculars to enhance the view from your stateroom, a choice of soaps and pillow menus, every last detail has been carefully considered to create a truly luxurious experience. Your mini bar is filled with your preferred wine and spirits before boarding at no extra cost with drinks included on some ships. On top of all of this, most luxury cruise lines only have verandah rooms and above, meaning you won’t have to forgo comfort and extraordinary views to stay within budget. 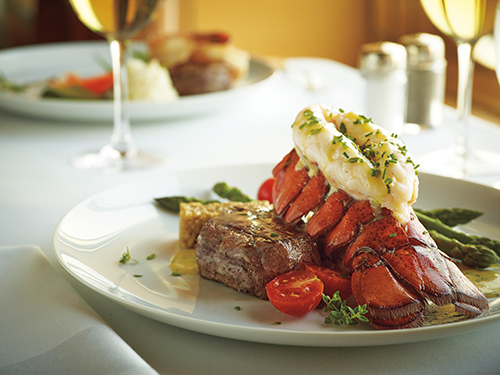 Fine dining onboard luxury cruise ships is perfect for foodies and cruises who enjoy flexible dining, fresh produce, crowd favourites and exquisite exotic flavours carefully created by world renowned chefs. Tipping onboard some luxury ships is not required or expected allowing you to relax and enjoy fantastic service without fumbling for change. Dress codes onboard the larger cruise lines vary from island casual to formal, however aboard luxury lines you can expect to see well-dressed men and women in smart casual or resort wear during the day, with no bikinis in the buffet area and enjoy glamorous nights with most guests dressed in anything from smart casual to truly opulent attire on formal nights. For an unforgettable, unique and luxurious experience, small luxury lines such as Seabourn, Holland America, Azamara, Cunard or Celebrity X are the perfect hosts for your next cruising holiday.